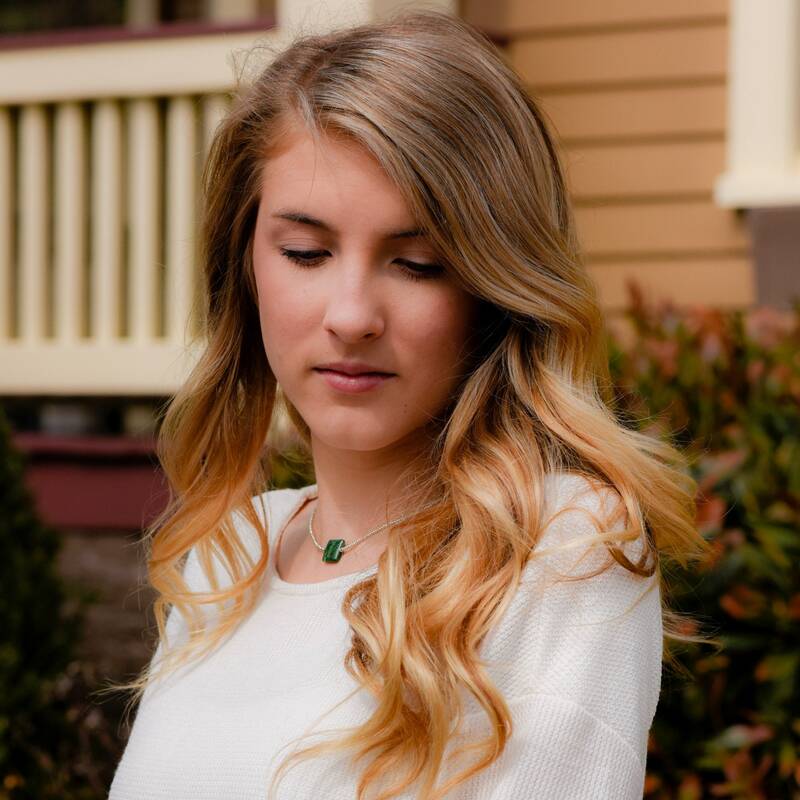 This minimalist choker necklace features a single 14mm square African Jade stone combined with tiny light toned gold beads....Simple yet strong adding a touch of nature-inspired beauty to your spring look. 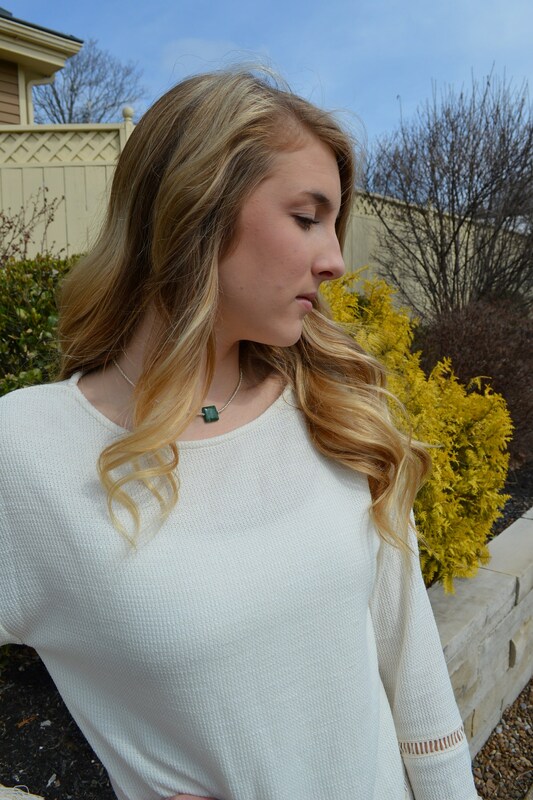 Be sure to view all photos to see how beautifully this piece wears across your neckline. You'll love how light and delicate this necklace feels. 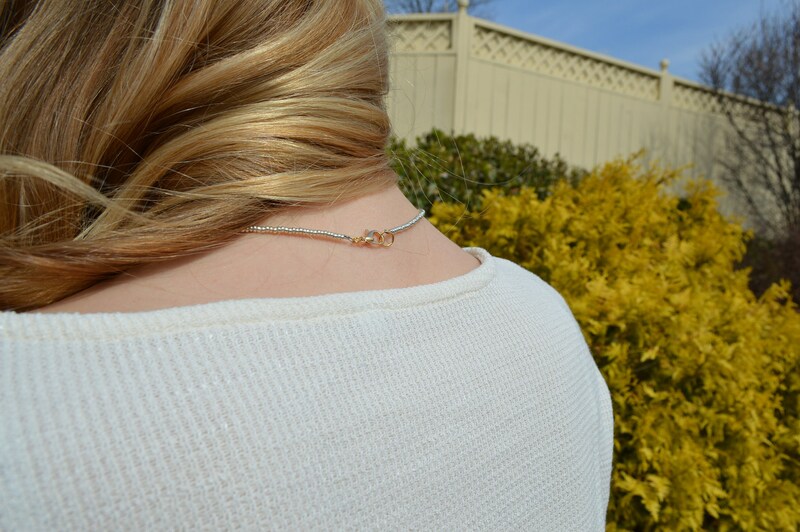 The choker measures 15" - Custom sizes are available. Message me with your size requirements. 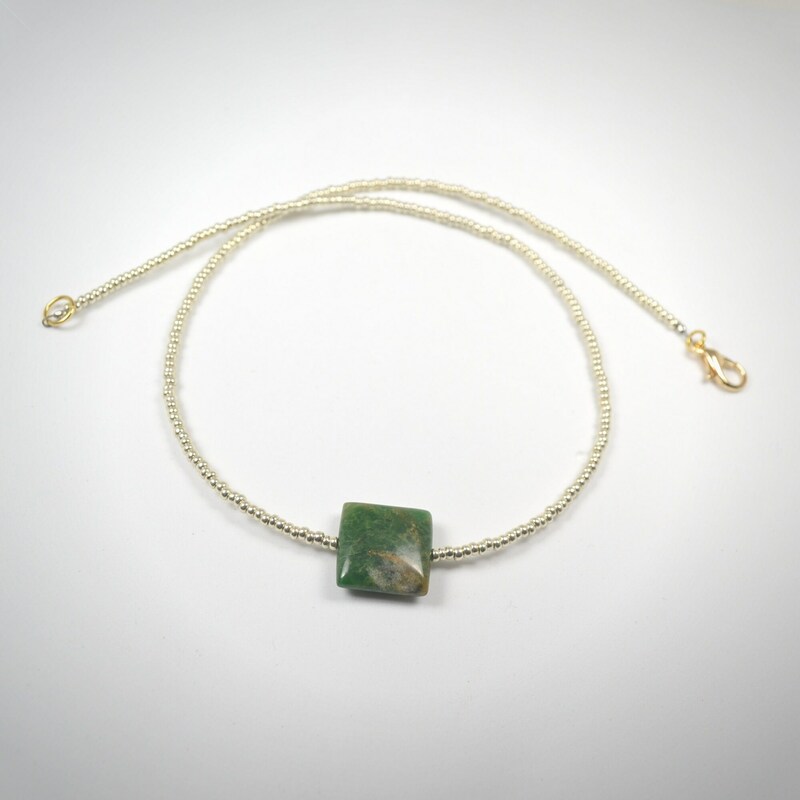 African Jade is a semi-precious gemstone found in South Africa. It is believed this stone is becoming somewhat rare. This green stone is sometimes referred to Transvaal Jade. The colors vary from light to forest green with streaks of mauve, maroon and brown in a variety of patterns.